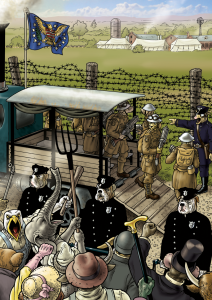 Steampunk and furry fans may both rejoice as writer/artist Brian Talbot brings us the latest edition of his anthropomorphic alternate history series in Grandville Noel, coming this November in hardcover from Dark Horse Press. “With his trusty adjunct, Detective Sergeant Ratzi, away for Christmas, there’s no holiday for Detective Inspector LeBrock of Scotland Yard as he embarks on an investigation into the disappearance of his housekeeper’s niece, Bunty Spall. 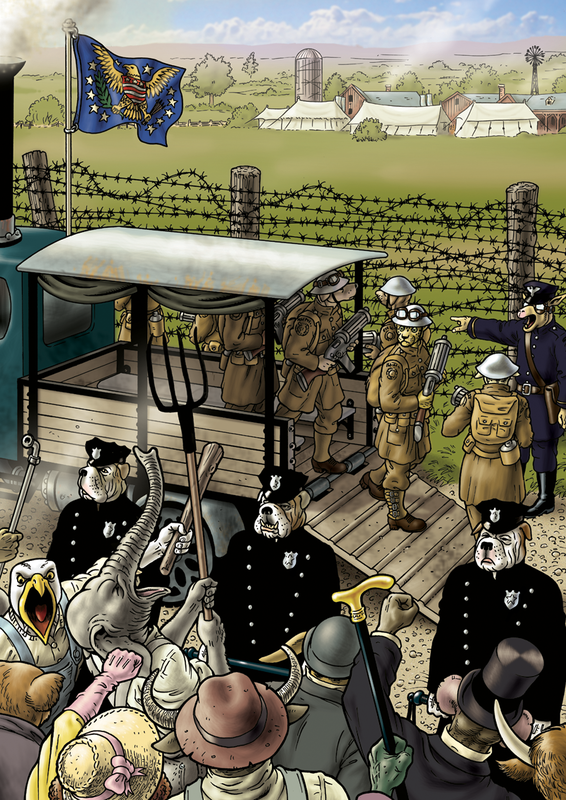 The trail leads to a growing religious cult, where a charismatic unicorn messiah and his con men cronies, already responsible for mass murder in the United States, are about to lead a crusade for the ethnic cleansing of the French Empire’s doughfaces – the derogatory nickname for humans used by the majority, animal-headed population. Teaming up with Chance Lucas, a gun-slinging operative of the Pinkerton Detective Agency, and reigniting his steamy love affair with the voluptuous Parisian badger prostitute Billie, LeBrock clashes with both cult fanatics and doughface terrorists, uncovering in the process a centuries-old religious conspiracy that threatens to plunge the world into bloody civil war.” Find out more about this full-color series at Brian Talbot’s blog page.